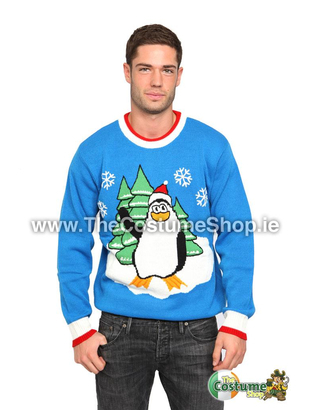 Size: Small: Chest size 34" - 36" Medium: Chest size 38" - 40"
Ideal for any Christmas occasion or the perfect Christmas gift our Penguin Christmas Jumper is the perfect statement for anyone who loves Christmas. 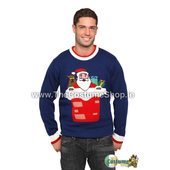 Warm blue jumper with long sleeves, a round neck and penguin and Christmas tree applique pattern on the front. 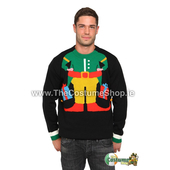 The neck line and sleeves feature red and white striped trim.